Bohdan Harasymiw is acting as coordinator the Program on Contemporary Ukraine at the Canadian Institute of Ukrainian Studies, University of Alberta. Before retiring in 2005, he was Professor of Political Science at the University of Calgary. Trained as a Sovietologist, he specialized in the study of political elites and leadership. In 1989-91, he was seconded to the Government of Canada as an intelligence analyst. Since the collapse of Communism and the Soviet Union, he has focussed on the consequent processes of democratization and authoritarianism in Russia and Ukraine. His book, Post-Communist Ukraine, came out in 2002. 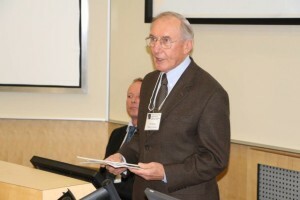 A former president of theCanadian Association of Slavists, he has published numerous articles in its journal, Canadian Slavonic Papers, as well as other scholarly publications.